In a large mixing bowl, whisk together the olive oil, vinegar, chopped basil, chopped dill and a few pinches of salt and pepper. Add the chicken and toss well. *Let marinate for at least 30 minutes in the fridge, tossing every 10 minutes. Preheat the grill. Add the chicken and grill for 6 to 8 minutes per side, or until chicken is cooked through. Cook cauliflower rice, as directed. 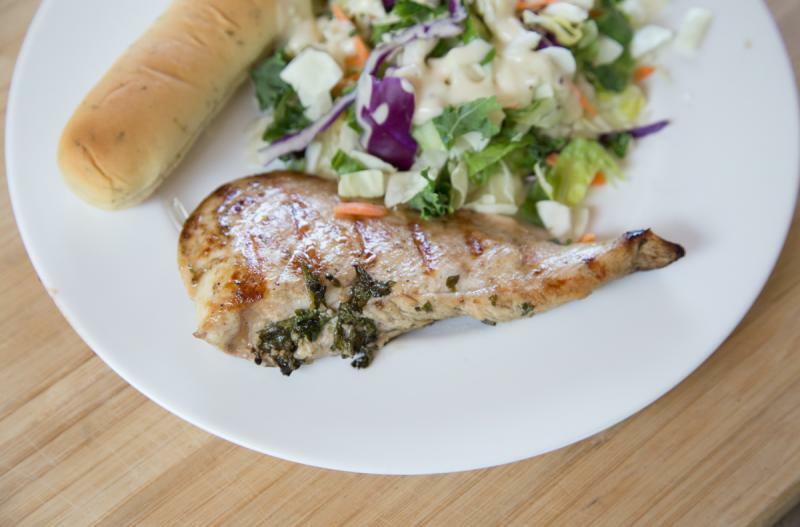 Serve Grilled Herb Chicken with cauliflower rice and veggies. Whisk together 1/2 cup olive oil, 1/2 cup vinegar, 4 Tbsp chopped basil, 4 Tbsp chopped dill and a few pinches of salt and pepper. Put baggie in the freezer and freeze up to 6 months in fridge freezer or 12 months in a deep freezer. Thaw in the fridge overnight, or a warm bowl of water for about 20 minutes. Thaw completely before grilling. Look for pre-made cauliflower rice in your grocery’s freezer section. Thaw completely. 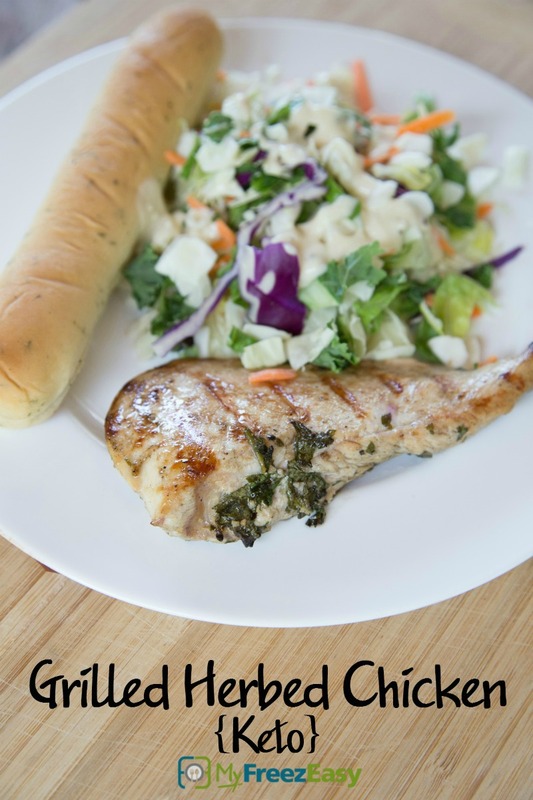 Grill the herbed chicken over direct heat for 6 to 8 minutes per side, or until cooked through.